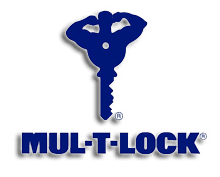 Foothill Locksmiths Inc. – Bay Area Security Solutions since 1956! Foothill Locksmiths Inc. has been providing security solutions throughout the Greater Bay Area since 1956. The company services commercial, residential and automotive customers, as well as providing both mobile services and a storefront location in Hayward. Increased and updated security can save organizations hours & dollars. Lasercut & Transponder Keys, Remotes, Door/Ignition Rekeying & more. Our store is home to a wide selection of safes of all sizes for commercial or residential use. Your peace of mind is our priority. We offer security evaluations, rekeying services & more. Even after 60 years of being in business, we still love hearing about your experience! And, especially after 60 years of being in business, we strive even harder to be as great as you think we are!